If India’s most famous advocate of peace found solace here, there has to be something special about it. A 50-kilometre drive north of the cantonment town of Almora, Kausani, overlooking the Himalayas, was where Mahatma Gandhi retreated in 1929 for a few weeks of quiet.This is where you go when all you want is to be cut off from the outside world and sip on your morning cup of tea with nothing but the fragrance of pine trees and snow-capped peaks to keep you company. Anasakti Ashram, Gandhi’s home while in Kausani, holds a small museum and library. Visit the building — also known as Gandhi Ashram — for a glimpse into the Mahatma’s life through photographs. Trek through a two-kilometre path in the woods with majestic mustard fields in the distance for the perfect photo op. Ahead, on the banks of River Kosi, visit the Rudradhari temple, built in caves that overlook waterfalls, to enjoy the sound and fury of water gushing over the rocks. Reportedly established by a mystic who roamed the hilly forests, the temple offers visitors many moments of tranquillity. Take an evening walk through the neighbouring valleys at sunset for a view of the orange-tinted mountains — the pink, indigo and purple skies adding to the magic of the moment. For a truly local experience, tour the Kausani handloom factory and watch the weavers knit shawls, scarves and blankets; available for purchase to add an ethnic touch to your wardrobe. Escape the daily humdrum at Gandhi’s aptly christened ‘Switzerland of India’. Just a short and scenic walk from the main town, visit the Kausani Tea Estate for a tour of the factory to observe India’s favourite beverage in production. The plantation produces organic tea that is exported across the world. Take a taste of the hills home, as a souvenir. 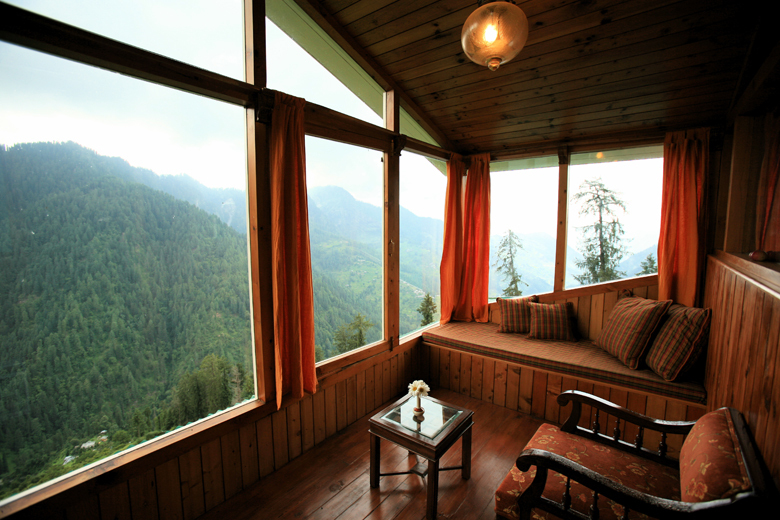 Stay: at The Buransh, a luxurious property set amidst forests that promises gorgeous views of Himalayan peaks from any room. Buy: local handicrafts and artefacts, handwoven woollens and organic foods including herbs, pickles, jams and honey. Visit: September to May. Nearest airport: Pantnagar Airport, around 177 kilometres away and a four-hour drive. You’ve always dreamed of having your own cosy cottage high up in the mountains, nestled in the vast expanses of natural wonders. By the time you leave this Himachal town, you would have zeroed in on the perfect spot for your fantasy home. A short drive from Kullu takes you to the steep valleys and lush greenery of Shoja, where the sound of water hitting the rocks at the many falls makes for the ideal background score. A well-kept secret, this still-undiscovered hamlet is an animal lover’s delight. Spend your days winding down the hilly terrain in a jeep while you sight Himalayan bears, leopards, musk deer, sheep, wild goats and the tinier hares and rabbits. Spring, in the early months of the year, brings with it walks through sunflower meadows in full bloom. The adventurous can head out with their binoculars and Burberry trenchcoats for a trek through the 3,125-metre-high Jalori Pass for breathtaking panoramic vistas of the mountain range. Take time to head down cobbled pathways leading to the crystal-clear glacial waters of the Tirthan Valley. Make a quick stop at the Himalayan Trout House to pick up tips and supplies, and indulge in trout fishing. Stay: at Banjara Retreat and Cottage, where you can wake up to sights of the snow-capped Dhauladhar range. Explore: Raghupur Fort, accessible through a forest of cedars, oaks and vibrant flowers. Visit: April to November. Nearest airport: Bhuntar Airport in Kullu, around 57 kilometres away and a two-hour drive. At 2,700 feet above sea level, getting to this valley may be, quite literally, an uphill task. But the sights that greet you make it more than worthwhile. Rudraprayag district’s pièce de résistance, Chopta is a haven for those looking to unwind in the lap of nature. Though not usually crowded with tourists, don’t be surprised to spot groups of trekkers; the town is the starting point for treks to the peaks of Tungnath and Chandrashila (from several routes, one can enjoy clear views of the magnificent Panchachuli, Nanda Devi, Neelkanth and Kedarnath mountains). Get a piping hot cup of soup or coffee as you sit at the verandah of your hotel and take in the surroundings. And while Chopta is apt for some well-deserved me time, don’t miss the Kedarnath Wildlife Sanctuary and the local fauna — a leopard rushing past or a bear in search of the best tree for its next siesta. Marvel at the barking deer and the stealth of the flying squirrel. Mountain goats, blue sheep, Himalayan foxes and pheasants too roam the roads of this animal reserve. Drive through the Kanchula Korak Musk Deer Sanctuary, and if you’re quiet enough, you’ll be rewarded with sightings of the majestic animal and many exotic birds as well. 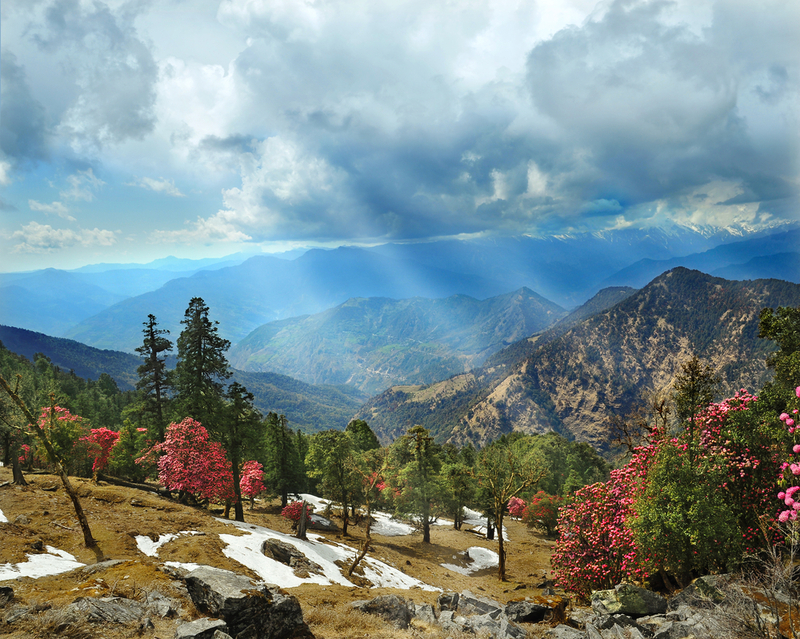 Head to Chopta in the spring to experience nature at its finest. The winding streets and dense forests are ablaze with blossoming rhododendrons whose red and pink hues add the perfect dash of colour to otherwise green scapes. A stop at the Deoria Tal Lake — where the calm waters reflect the white peaks above — will make you feel as if you’ve discovered Eden. If the hiker in you is game for a slightly strenuous trip, attempt a trek up Chandrashila. At the summit, you will be treated to a 270-degree view of the entire Himalayan range. Stay: at the Magpie Resort, built in a sprawling meadow that’s a stone’s throw away from the Kedarnath Wildlife Sanctuary. Do: try your hand at skiing; you’ll be surprised at how easily you can manoeuvre through the snow. Visit: April to November. Nearest airport: Jolly Grant Airport, around 226 kilometres away and a five-hour drive. Such is the charm of the Nako countryside that a walk here transports you to Tibet. Leave your vehicle behind and explore all the sites of this tiny region on foot. 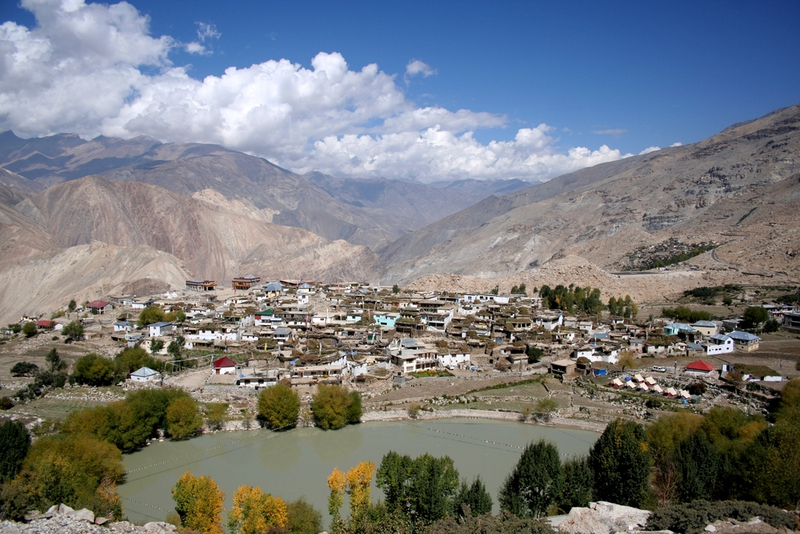 The Kinnaur district is known for its arresting landscapes, and Nako is its top draw. The town’s major attraction, Nako Lake is flanked by four Buddhist monasteries. Take your time to explore each one; hear the prayer wheels chime in unison. Watch the multicolour flags, synonymous with the temples, blow in the wind, creating rainbow-hued images to capture on camera for posterity. The main Nako Monastery at the centre of the village was founded by Rinchen Zangpo in the year 996. The complex includes several intricately carved frescoes and sculptures, and though many lie neglected today, they’re worth a look. Head out with that book you’ve been meaning to read for a while and finish it by the banks of the River Baspa — one of Nako’s best-kept secrets. Close to the Indo-Tibetan border, it is flanked by pastures, meadows and fields — each one as blissful a location as the last. Quick day trips to the towns of Rakcham and Chitkul are inviting. The apple orchards with their crimson plants billowing in the wind are a highlight. Stay: at Knaygoh Kinner Camps, with its 17 Swiss-style luxury tents that allow you to go camping in style. Explore: the caves near Nako Lake; legend has it that the footprints and marks found within belong to fairies and demigods that roamed the hilly terrain. Visit: April to October. Nearest airport: Bhuntar Airport in Kullu, around 245 kilometres away and a four-hour drive. India’s seven sisters — as the territories in the North-East are known — are arguably the country’s most unexplored states, and this hill station remains one of its hidden gems. With Tibet to its north, the Sela range to the east and Bhutan in the south-west — Tawang’s geographical location makes it an ideal escape from concrete urban jungles. Be prepared for an arduous journey up winding, unpaved roads, where the muddy paths will probably add to the adventure. The scenic route all along is sure to make up for the strenuous trip. Stop at the spectacular Nuranang Waterfalls, 100-metres high and believed to have been named after Nura, a Monpa tribal girl who helped an Indian soldier during the Indo-China war. Such stories abound about many of Tawang’s natural glories. 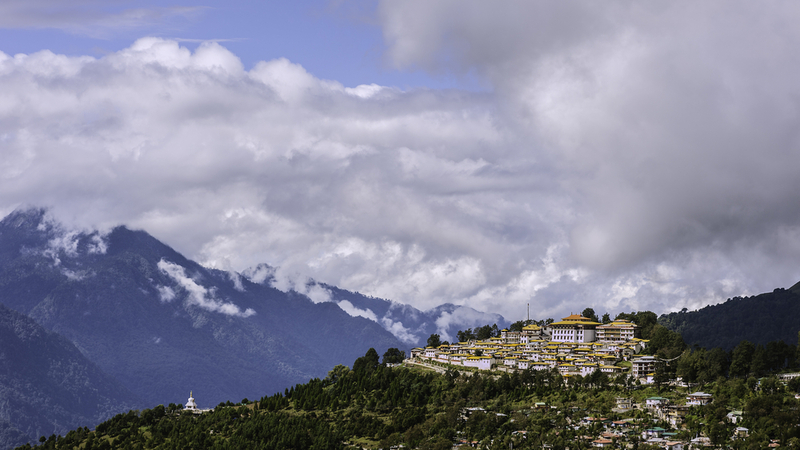 Once you’ve had your fill of the valleys, greens and ranges, ditch your footwear and head inside the Tawang Monastery. After Lhasa’s Potala Palace, it’s the largest in Asia — and India’s biggest and most glorious one. Founded in the late 1600s, the place of worship is situated at a height of 1,000 feet above sea level. Serving as a gate into Tibet, its multicoloured prayer flags, intricate temple carvings and the calming smell of incense welcome you in. Admire the traditional thangka and mandala paintings (some of which are ceiling-high) that adorn the walls of each room; pay your respects at the altar, bowing to the smiling, massive stone Buddha that sits in the main hall; and if you time it right, you can observe the monks during a live prayer session as they pay obeisance to their deity. Seventeen kilometres away from the main town is the gorgeous Pankang Teng Tso Lake, which is surrounded by blue- and purple-tinged lapis lazuli flowers all year round. Though the lake is frozen during the winters, visit any time of the year for a perfect romantic escape. Stay: at one of Mon Paradis Tawang’s spacious suites. Buy: Buddhist handicrafts that range from colourful shawls to intricately woven carpets. Visit: March to October. Nearest airport: Salonibari Airport in Tezpur, around 320 kilometres away and a five-and-a half-hour drive.